Introducing Our 1 Millionth DD Perks Member! Earlier this month, we announced that DD Perks® reached one million members. With this milestone came instant rewards for our loyal guests, including 100 bonus points for existing and new DD Perks members. 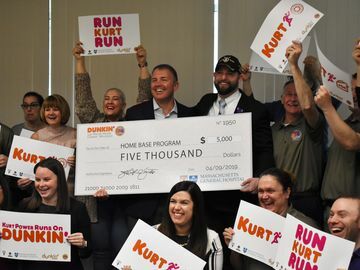 This wouldn’t be possible without our one millionth Perks member, so we’re dedicating this blog post to celebrate and learn why our one millionth DD Perks member, Gail Christman of Pennsylvania, runs on Dunkin’. This morning, Gail was honored with a special event at her local Dunkin’ Donuts by receiving free coffee for a year and a personalized Dunkin’ Donuts Card. Also at this event, Dunkin’ Donuts rewarded the first 20 DD Perks members to arrive at the restaurant with a $20 Dunkin’ Donuts Card. 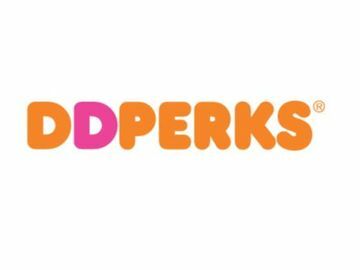 Between being honored with free coffee for a year and helping to reward fellow DD Perks members, we were able to interview Gail and learn more about how she runs on Dunkin’. Check out the Q&A below and see if you can relate! How’d you hear about DD Perks? I heard about it from my friend who was already enrolled. We went to get iced coffee at Dunkin’ Donuts and she paid with a Dunkin’ Donuts Card. When I asked her about it she discussed how she enrolled in DD Perks and gets points towards a free beverage. I thought it sounded great and bought my first Dunkin’ Donuts Card on the spot. I enrolled in DD Perks shortly after that. I think it’s very easy to use and hassle-free. It also makes sense for me since I stop at Dunkin’ Donuts almost daily and can now earn a free beverage once I earn enough points. How long have you been a Dunkin’ Donuts fan? I’ve been an occasional customer of Dunkin’ Donuts for years but have recently become a regular due to my love for DD’s Iced Coffee. I’m especially addicted to the Baskin-Robbins Butter Pecan Iced Coffee flavor. It has me coming in multiple times a week! So, is it safe to say that what you’re drinking is Butter Pecan Iced Coffee? Yes! I find myself craving it all the time! I also love raspberry-flavored Iced Coffee. Anytime of the day! When I’m on my way to work or towards the end of the day when I need an extra boost to keep me running. I find myself looking for new routes to and from work that leads me to a Dunkin’ Donuts. 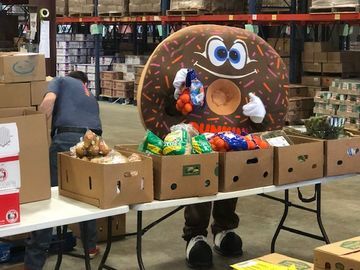 I also have a side business where I bring my horses to birthday parties for kids to ride and I find myself looking for Dunkin’ Donuts’ on the way to each event! Are you excited about winning free coffee for one year? Yes! I plan to put my Dunkin’ Donuts “Black Card” to good use. I’ve never won anything before so couldn’t believe that I won this. I thought it was too good to be true!